Also a Ballet Folklorio video from the Imperial Beach Library's 100 year Celebration. 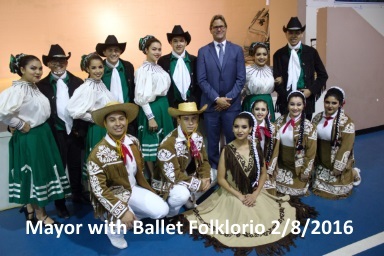 Watch Ballet Folklorico's Outstanding Show for Imperial Beach Library's 100 Year Anniversary Celebrations on Saturday October 17th at the Boys and Girls Club of South County on Encina Avenue. More of Ballet Folklorico at the, Imperial Beach Library, 100 Year Anniversary Celebration. They did a fantastic job!